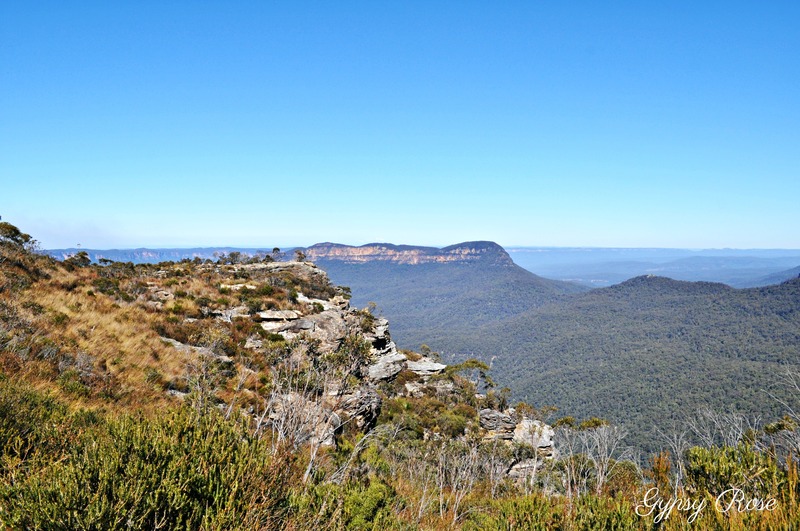 Landslide Lookout, in the mighty and spectacular Blue Mountains region, is a fine example of how insignificant we humans are when compared to the remarkable and magnificent nature! The views from Landslide Lookout are truly magical. 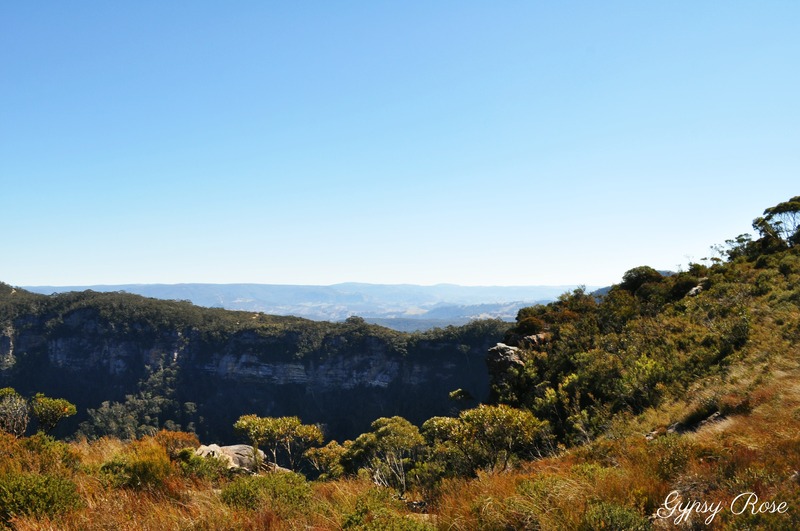 Situated on Cliff Rd, Katoomba, Landslide Lookout is home to an interesting and debatable past as well as being home to 'never-ending' mountain and valley views as far as the naked eye can see. There are many boulders that cover a wide-range of the Lookout, cliff sides and lush vegetation. Landslide Lookout is one of those lookouts that make you feel insignificant standing next to the mighty and spectacular nature! The 'Landslide' is a large rockfall that goes into the valley approximately 100 metres and the lookout is a fantastic vantage point of the landslide from under the cliffs to the east. The start of the walk to the viewing platform. 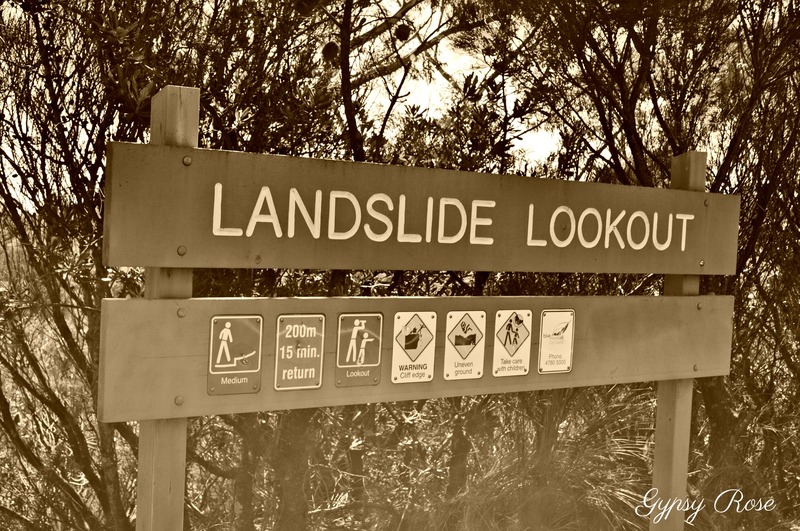 Stepping back in time, Landslide Lookout got its name due to a controversial 'event'- that being in 1931 a landslide occurred after a few days of rumbling and this created a debate whether this 'landslide' event was helped along by erosion or coal mining around the area at the time. 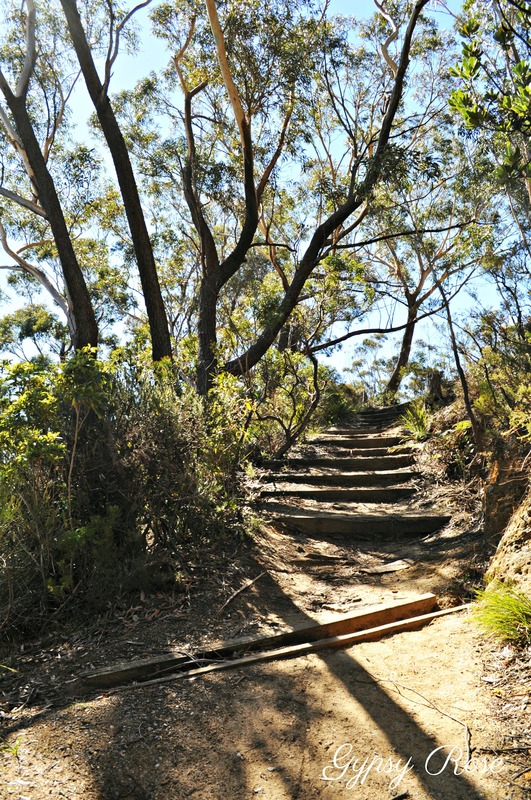 There are many stairs leading down to the viewing platform and to the lookouts and walk beyond the platform. In 1929, it was first reported that there were cracks behind the top of the cliffs and it became apparent that a major rock fall was imminent. In 1930, the cracks advanced and widened noticeably and pieces of rock regularly detached themselves and hurtled to the valley below. Crowds began to gather in hope that they will witness a climax when hundreds and thousands of rock will fall in one great mass. 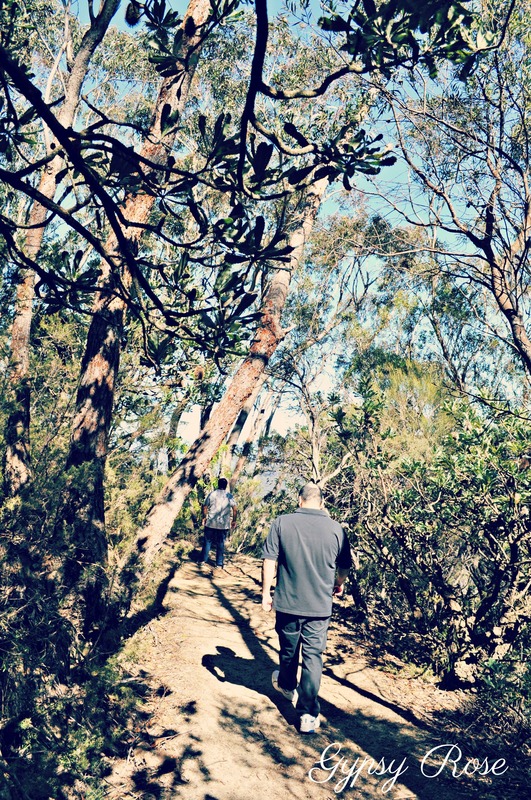 Glimpses of the spectacular mountains can be seen through the lush bushland on the walk down to the viewing platform. In 1931, everybody was holding their breath, waiting for this 'Great Event' to occur. The 'Great Event' eventually did occur around 4am on the morning of 29th January 1931 and there were no witnesses as well as no photographs. Not too long after in May, around 2pm, another "landslide" event occurred and according to the Herald report, there were witnesses but evidently, no-one carried cameras. Views from the walking path are absolutely breathtaking! The final collapse drew out a waiting game with anticipation built. The landslide site transformed into a must-see tourist attraction as people flocked in the hundreds with most dressed in their 'Sunday best' clothes. People from the mountain villages and from farther afield including people from Sydney came to witness the 'final collapse'. 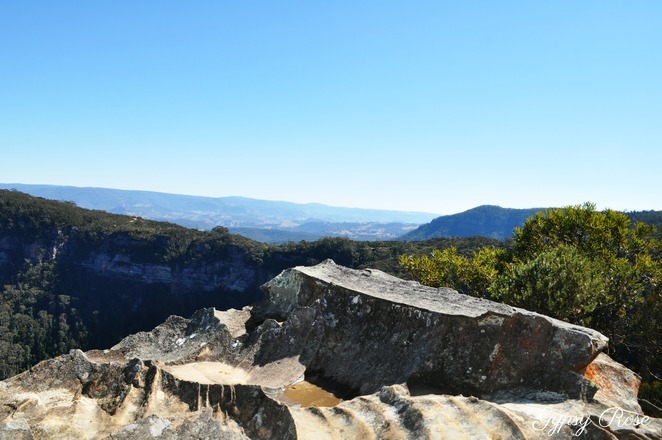 Boulders and rock formations can be seen scattered at the Lookout. Refreshment stalls were set up, marshalls were put in place to control the crowds, spotlights rigged up for night time viewing and carparks carved out of the bushlands were established to accommodate people. 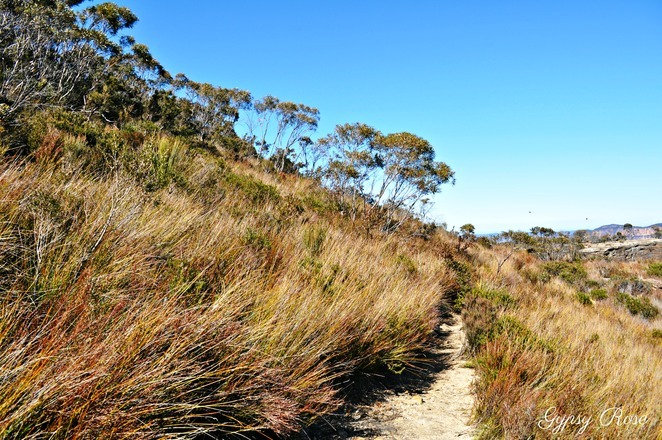 Past the viewing platform is a small track leading to the rock formations and boulders, from here a thin walking trail can be found leading to Scenic World. 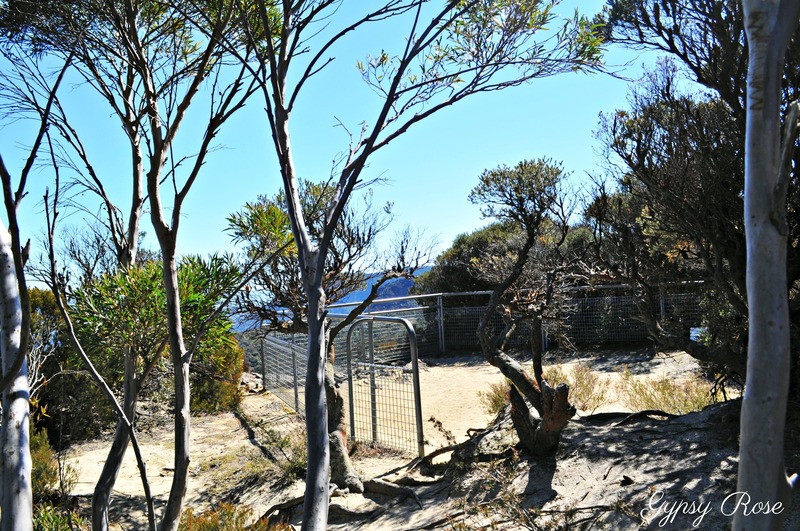 There were two vantage points that drew in the big crowds, with a majority of onlookers approaching on foot along the rough and thick bushland (Cliff Drive was not yet constructed, and it being The Great Depression, getting a ride was out of the question for some) and those who could afford vehicles drove to the "scene" or purchased a ticket for the tourist bus. 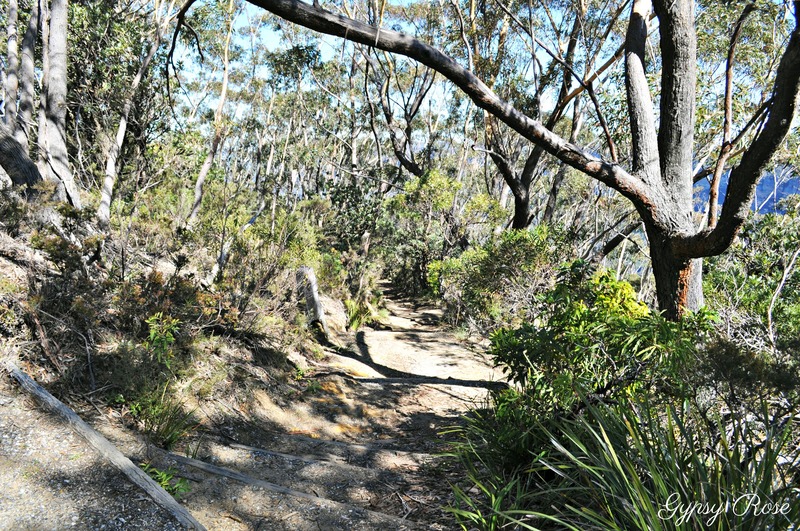 The walking trail to Scenic World. When the final collapse did occur, according to one and only newspaper account, three people allegedly witnessed the shedding. Namely the 'collapse of the century' has no records that have come to light, leaving Landslide Lookout a complete mystery on whether the 'landslide' occurred naturally or was it caused with the help of mining in the area? 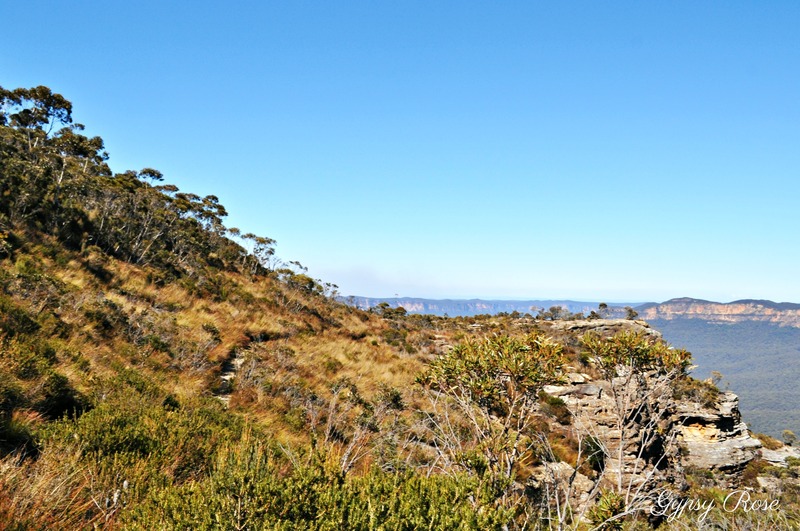 Eighty plus years on, the stark scar left by the "landslide" and another debris field below is believed to be camouflaged by regrowth and discolouration of the sandstone faces by algae and lichen. The succession of rockfalls created a 'Dogface', making it a rock climber's haven. Views from the walking trail that leads to Scenic World. 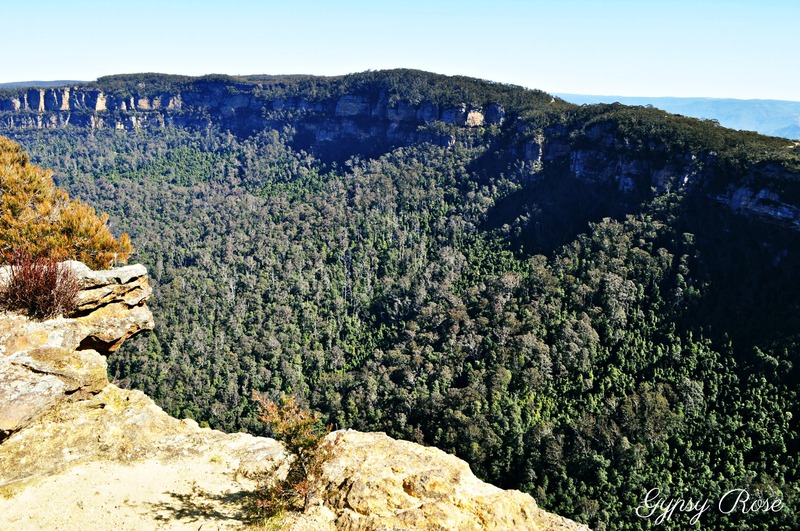 What was once a place of high drama is now sadly forgotten, however, after my 'accidental' discovery of this spectacular Lookout and much research and hope Landslide Lookout will be put back on the map as one of the spectacular Lookouts in the Blue Mountains. 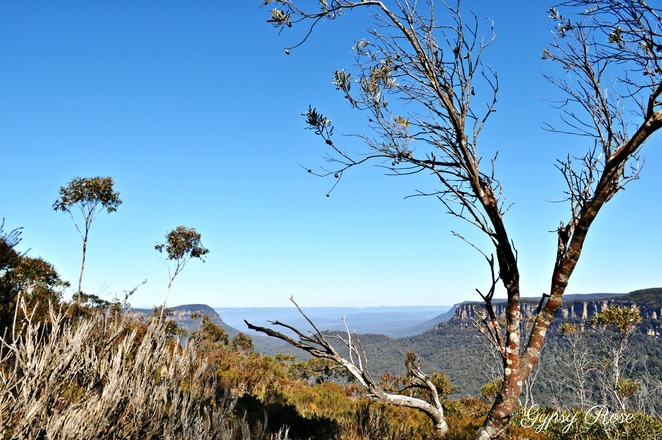 The site of these mighty landslides cannot be seen anywhere from the well-known lookouts, nor is there any signposts leading to this magical lookout, making it a best-kept secret... almost! 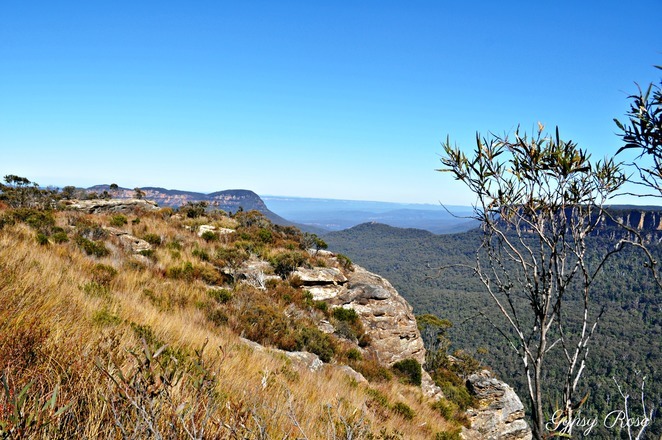 Landslide Lookout is an example on how beautiful nature can be. Landslide Lookout is a gateway walk to Scenic World. The wide track follows mighty cliffs, lush bush and small boulders strewn along it. There are a number of mine shafts just off the track along with some interesting historical items. 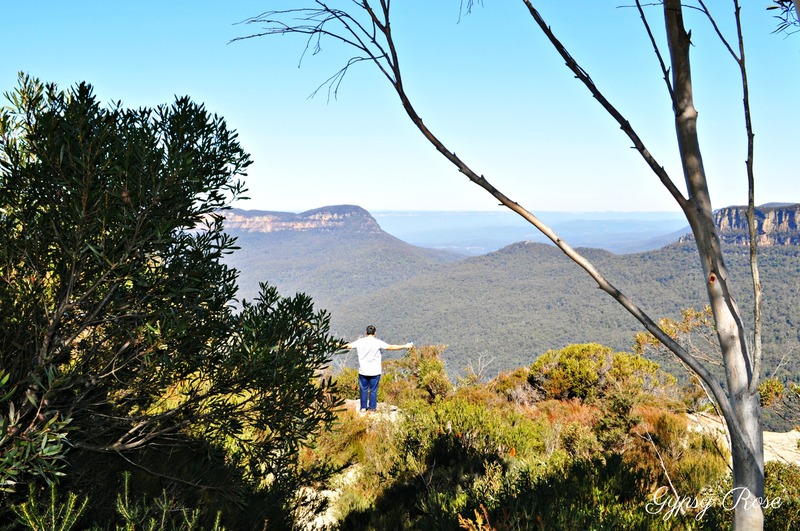 There are endless views of mountains, valleys, lush Australian bushland, rock formations and boulder views. 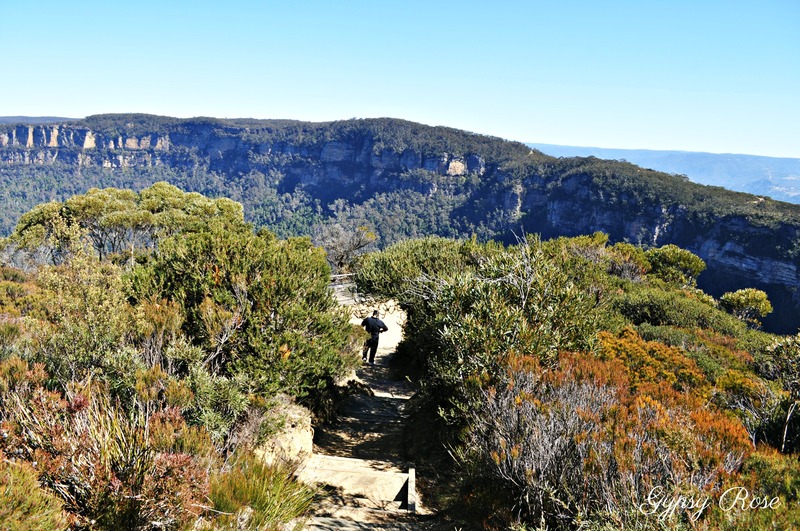 The track also passes breathtaking views of the cliffs and the landslide with its sparse vegetation.